The evening also saw the presence of Sunil Shetty, Salim Merchant, Remo D'souza, Rajkumar Santoshi, Manish Paul, Kapil Sharma. The guests addressed the audience and media & spoke lengths about the ceremony. Shankar Mahadevan & Richa Sharma & Kailash Kher performed in their melodious voice & entertained the audience ; they also spoke about the importance of sports & sports person. Meticulous guidance of Shri. S. K Prasad, commissioner service tax-6 commissionerate Mumbai and efforts of his team made the event a grand success. Babita Phogat inspired everybody present by her spontaneous advise about role of hard work and practice in life . She gave all credits to her parents and wished that she could be their daughter in all lives to come. She touched heart of everybody. She also said that girls should be promoted and respected. She thanked movie dangal for making them famous. Hon'ble minister sh. Vinod Tawde said "As the minister for School Education, Higher and technical education,Sports and Youth welfare this is my duty to attend such good functions especially after the demonetization. He said that sport person spirit is very important in each and every field whether it is politics or any other field. Sports is such a thing which brings every one in the same level no senior no junior. He told that he very well understands the importance of sports in life and therefore has given it due importance in educational life. He also announced that we will give phogat sisters the opportunity to open academy here in Maharashtra so that the girls of Maharashtra can get encouragement and India may get more Geeta and Babita and i have faith on both of you"
The CRSCB provides an excellent platform for the officers to meet, to interact and to participate in the sports and the cultural activities at the sub zonal, zonal and the national level. The organizing committee aims to provide the participants all the facilities and support in order help them give their best performance. Giving an idea what to expect and what to hope to achieve. The participants who have forte in different sports and have won medals in sub zonal and zonal level participated and showcased their talents these 3 days in different events that is cricket, football, hockey, basketball, kabbadi, lawn tennis, table tennis, badminton and athletics etc in this sports meet. The sports events was conducted at 5 different venues across Mumbai and conclusion of the events was the closing ceremony was held at CRSBC congress day celebration on 17th February 2017 at media center film city Goregaon (East) Mumbai . 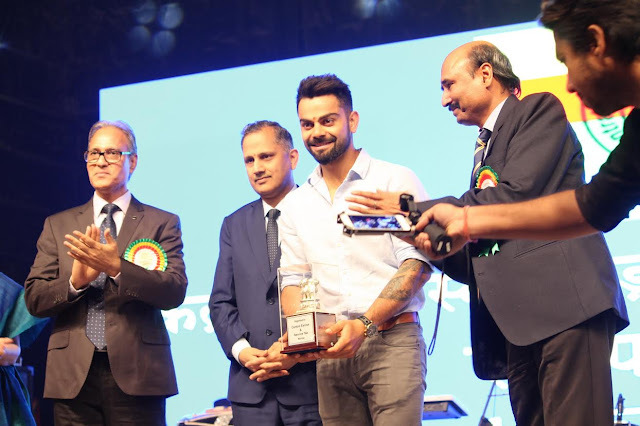 The event witnessed several exciting performances by renowned artists from Bollywood apart from inspirational speeches by famous sports persons. It ended with gala entertainment program.